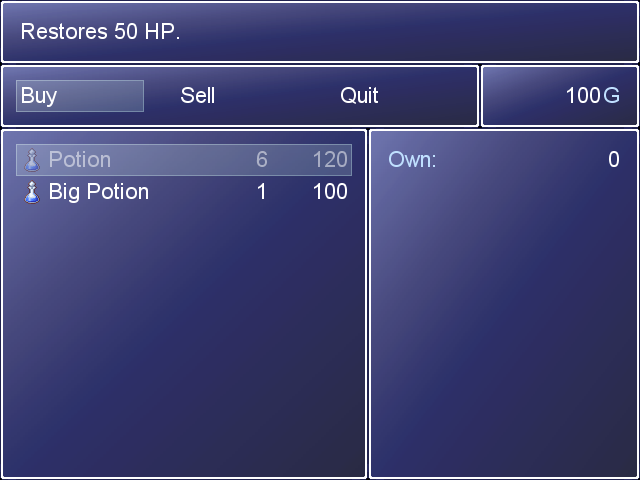 With that easy script, you will be able to control how many items you will buy (or sell), without going to a counter window. Price string is multiplied automatically. Nope for this type of script. Probably it will not fit well with custom shop systems.